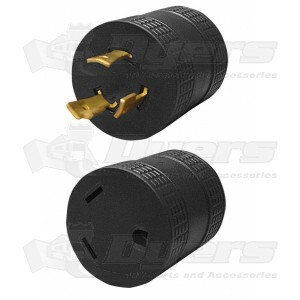 Connect your 30 Amp RV power cord to a 3-prong, twist-lock generator outlet. Exactly what I have looked for and a good price. Most adaptors that did this job were short cords with big prices. This adaptor does the job with simplicity and a great price. Highly recommend this adaptor to anyone wanting to plug their rv into a portable generator. It's just what I needed. Sorry I could not buy it due to rediculous shipping cost.